Fitzrovia is home to London’s creative industries, who love the laid back atmosphere of the quiet streets. With an eclectic restaurant scene and beautiful residential streets, the area is a hidden gem. Fitzrovia is located north of Oxford Street and south of Euston Road, with east and west borders at Great Portland Street and Tottenham Court Road. It is made up of impressive Stucco townhouses and mansions blocks, as well as modern residential developments. Due to the media and agency population that has taken up residence in the area, Fitzrovia has become one of London’s most sought after residential areas. It is also a popular spot for wealthy stars due to the introduction of popular hotels and shopping venues to the area. As a largely residential area, Fitzrovia attracts many people looking for something quieter than its West End neighbours. 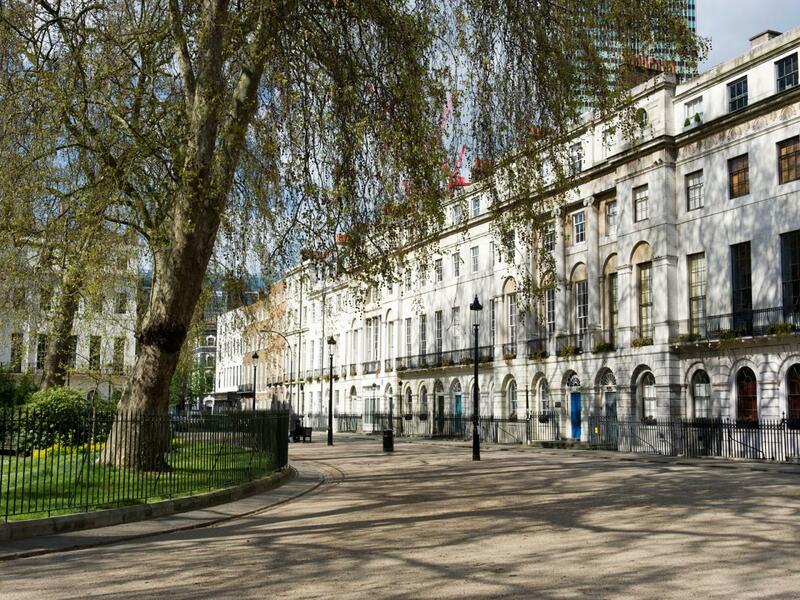 When looking to purchase a property in Fitzrovia, contact our expert team. Fitzrovia is allegedly named after The Fitzroy Tavern, a public house situated on the corner of Windmill Street and Charlotte Street, made infamous by the patrons who frequented it, such as George Orwell, Dylan Thomas and Quentin Crisp. The Fitzroy Tavern was named after Charles Fitzroy who developed much of the area in the mid-18th century. In 1966, the BT Tower opened, at the time famous for being the tallest building in London, with a revolving restaurant at the top and panoramic views of the City. Between 1970 and 1990 Fitzrovia began to see an influx of media outfits, a trend we have seen continue into the present. Fitzrovia has become a popular area with advertising, film, media and television agencies, which has created a fashionable, stylish bar and restaurant culture. Establishments such as the Charlotte Street and Sanderson Hotels have developed into popular hotspots for the wealthy and famous, including actors, actresses and sports stars. Charlotte Street provides a fantastic selection of restaurants while Tottenham Court Road and Oxford Street cater for all shopping needs and nearby Regents Park offers a vast expanse of open space. Fitzrovia is situated close to Marylebone, Mayfair, Covent Garden and Soho making Fitzrovia an ideal central London address.